Every digital marketer, political consultant, entrepreneur and would-be influencer on the planet is after the Holy Grail of social media. No, not what makes a post viral. 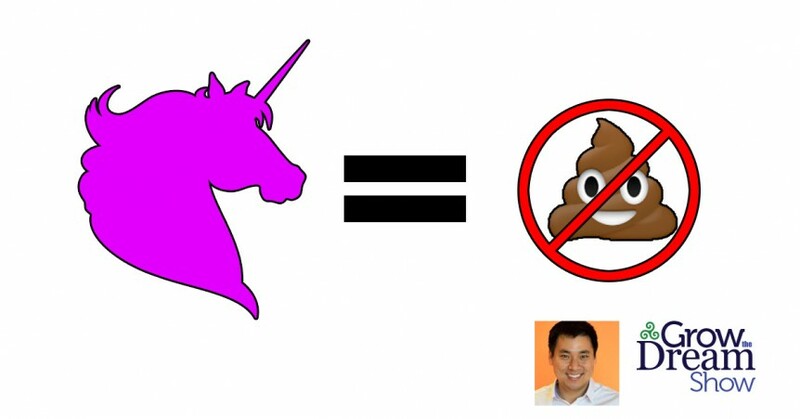 Larry Kim, the Grand Poobah of targeted digital advertising, knows what works and how anyone can figure out how to maximize even modest marketing budgets and keep a Facebook wall from becoming algorithm-ignorable. It’s not dependent on being an exciting tech company. Even the most mundane manufacturer or funeral home can use this formula with highly targeted Facebook ads to get effective engagement and, ultimately, increased business. Filter high-engagement posts through social media outlets that do not punish lousy results, then post and push on Facebook using microbudgets. Yup. There it is. OK. There’s a little more to it. 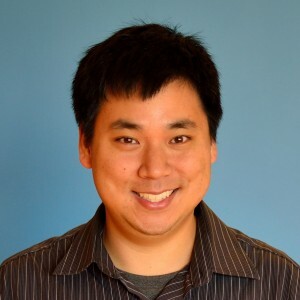 Listen to this episode to hear everything @LarryKim shared! So Larry knows what of he speaks. And he recently went into considerable detail on what he knows on the Grow the Dream Show podcast. In organic and paid social media marketing, you live or die by engagement rates. On Facebook, maybe the most important medium for deep engagement, you are better off posting nothing than posting items with low engagement rates. Here’s why: Facebook will punish you by assuming after a few of those that your posts are crap no one wants to read and so it shows them much less. Then you spin into the Facebook death spiral. But Larry creates an astounding 30% organic engagement on his Facebook posts. That dropped the jaws of the Grow the Dream guys. But why is simple. He won’t post to Facebook unless he is confident the post will have a high engagement rate. Facebook rewards his proven posts with a lot of organic exposure. How is he so confident in his posts? Believe it or not, it is not because he is Larry Kim — which was my first thought. It’s because he tests it where an engagement fail is not too important…Twitter. So he takes the awesome, strange but simple steps of auditioning his posts on Twitter in search of the elusive unicorn — Larry’s term for posts that are in the top 1-3% of performers. Once you find unicorns — and it could take awhile — you’re gold. But they are stealthy, secretive, hiding creatures that must be coaxed out into the open. The trick for getting them to show themselves is to tweet. A lot. Larry Kim tweets. A lot. He uses all the known tools for engagement, from pictures to capturing words to memes to emojis. But believe it or not, most of Larry’s tweets are low engagers. Periodically, however, a tweet strikes a chord and gets re-tweeted not the normal 5 or 10 times, but 100 or 200 times. A unicorn has shown itself! He then takes that tweet and confidently posts it on Facebook in as similar a fashion as works. From there, he gives it a promotional push. In this way, all of his Facebook posts have high engagement and Facebook rewards him with more views, both organic and paid. “This keeps you from getting crap on your wall,” he said on the Grow the Dream Show podcast. And let’s face it, no one wants crap on their wall. Worse though, remember that Facebook penalizes you for crap and eventually ensures that even potential non-crap turns into crap by not showing it much. Keeping poor-engaging posts off your Facebook wall is incredibly important. You do this with unicorns. Facebook’s relevancy score is just that powerful. Yes, the higher your relevancy score the more Facebook rewards you and vice versa. Finding unicorns and keeping crap off your Facebook page will give you higher relevancy scores. This goes to the bottom line, because of the reward-and-punishment system. Larry said that every increase or decrease of 1% in engagement will increase or decrease the cost per engagement by 5%. The takeaway is that businesses are spending far more than they should be on ads. By goosing their relevancy score, businesses can both save money and increase engagement. Larry has outlined how to achieve it. But Facebook makes you work to find them the relevancy scores. They are buried deep under a mountain of Facebook data and you have to mine pretty far down to strike them. But they’re there. 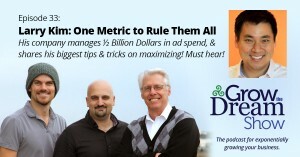 Pingback: The 1-Cent Click: the Holy Grail of Facebook Ads?